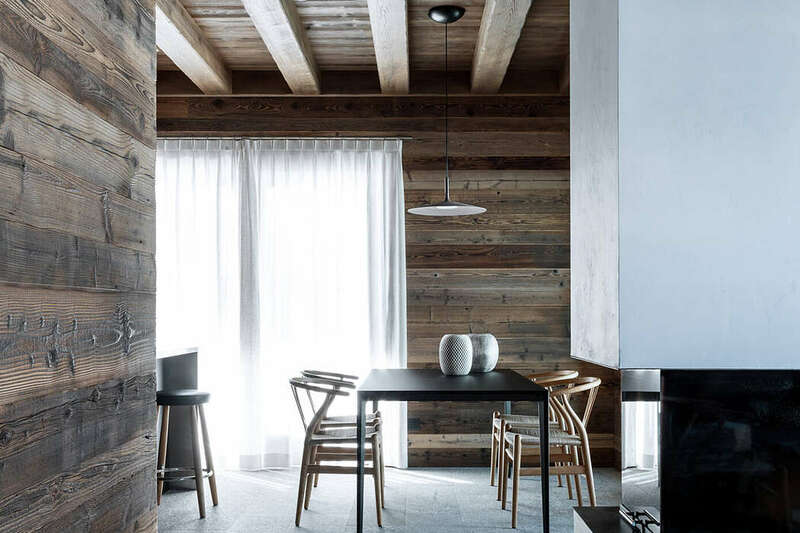 This modern chalet designed in 2018 by Rocco Borromini is located in Livigno, Italy. Alta Chalet is designed as a year-round weekend retreat for a family of five, comprising 3,000 square feet of efficiently planned living space spread over two storeys. Located near the end of a cul-de-sac in a private ski club development, the chalet optimizes the scenic and recreational opportunities afforded by the Blue Mountains, a town in Grey County located two hours northwest of Toronto. Located in France, this contemporary oak cabin was designed in 2017 by Corpus Studio for Jitrois. This inspiring single family house is situated in Colorado, United States.